A 502kg marijuana speedboat is seized on Sunday midday by Lecce's Financial Police. Italian media say the narcotics has been trafficked from Albania. Four persons has been arrested; 3 Italian citizens and the Albanian Arsen Xhaferri, 32 years old. The speedboat, about 7 meters long, was caught by Italian police while being transported with a pick pick up Mitsubishi in the territory of the municipality of Frigole. This car was being followed by a 'Fiat Multipla' car with the Albanian Arsen Xhaferri and the two Italians Cristan and Michele Cito inside. 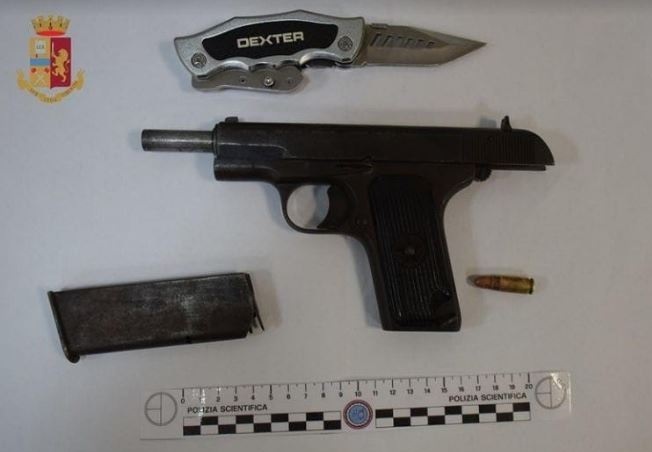 Inside their car the Italian police found and sequestered a Russian pistol Tokarev. To escape the control of the police, the arrestees had loaded on the boat fishing equipements. Xhaferri resulted with a previous criminal case for clandestine immigration, and the two Italians were also known by their country's police.